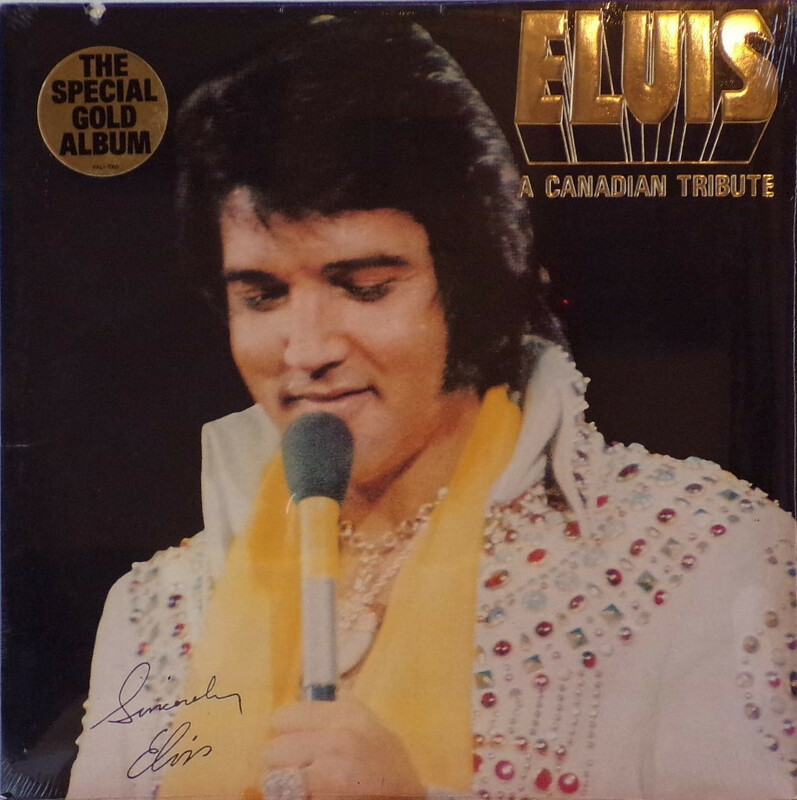 Elvis A Canadian Tribute was originally released in 1978 as a limited, numbered, gold vinyl edition as well as the standard black vinyl version. 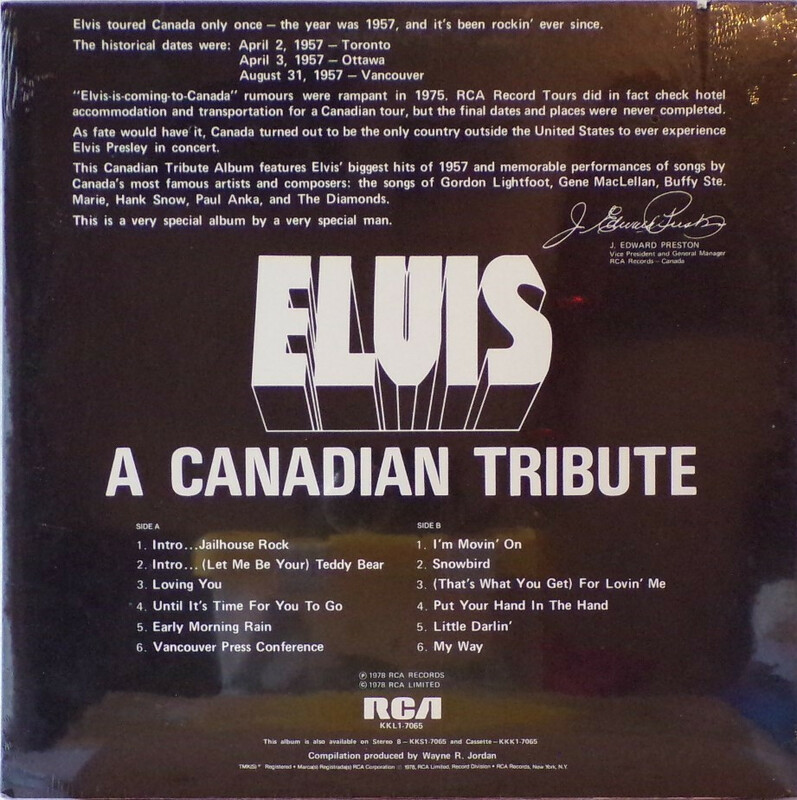 Although it is yet another Presley compilation album, this one has the unique twist of only featuring Elvis performing songs written by Canadian songwriters as well as hits from 1957, the year Elvis toured Canada. Front Cover : Photo of Elvis. Title across top right. Rear Cover : Title across mid centre. Catalogue number bottom centre. All text back. Copyright details across bottom. Label : Picture label black & gold with song titles. Side A : Elvis photo top half of label. Side B : Elvis photo top half of label. *NOTE* This copy is sealed. Gold vinyl. Front cover gold hype sticker "The Special Gold Album KKL1 - 7065". Reference opened copies "Made In USA" bottom of vinyl labels.